 My Yoga to Go was so pleased with their digital experience, they came back to Factor 10 for a logo refresh. Their original scorpion position logo did not communicate the accessibility of their brand, so they asked us to re-approach with that in mind. Focusing on the ease of a triangle position as well as the play concept of the videos themselves, the resulting logo hit the perfect yogi balance of on-the-go and all skill levels accessibility.